Today’s post will focus on soil structure. Previously, soil texture was defined as the relative proportion of soil particles (sand, silt, and clay). Soil structure is the arrangement of those soil particles into aggregates, or peds. Soil structure is important because it has a direct impact on many soil physical properties, but especially on the rate at which water flows through the soil. This impacts water availability for crops, site suitability for various buildings and septic systems, and more. 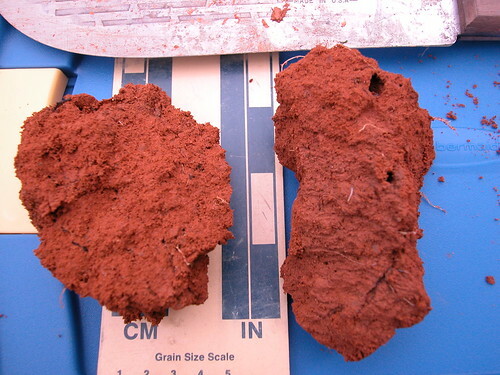 Soil scientists describe soil structure based on three things – type, size, and grade. Granular soil structure is roughly spherical in shape. It is similar to the shape of granola and/or Grape Nuts (the cereal). Both start with “g-r-a-n”, so think of those two foods when you think of granular. 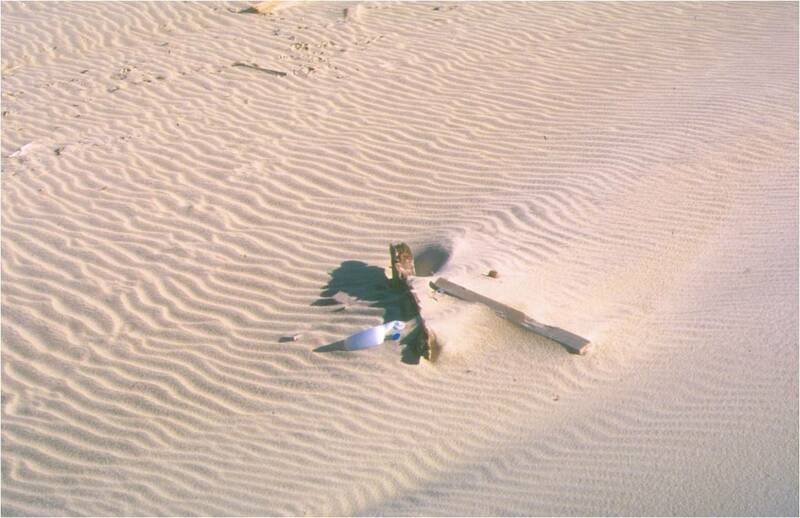 This type of structure is common where there is a high amount of organic matter present – often in the A horizon, or surface horizon of the soil. It allows for a fast infiltration rate (the rate at which rain water can enter the soil profile), thus maintaining organic matter in your soil profile can benefit your garden/crop by allowing more rainwater to enter the soil profile. Granular Soil Structure. Photo courtesy of the NCSU Soil Science Flickr Photo Stream. Blocky soil structure is shaped just as it sounds – like little blocks. The blocks are nearly the same size in all dimensions. Blocky structure is most common in the B horizon where clay content is higher. It can also occur in Histosol soils that have been drained. There are two types of block structure – angular, and subangular. Angular has sharp edges, while subangular has more dull edges. The type of block structure depends on the clay minerology, and the amount of shrink-swell clay (more on that in a future blog post). Shrink swell clay can expand upon wetting, thus causing slow movement of water. Good subangular blocky structure can have very rapid movement of water. Angulary Blocky Soil Structure. Photo by John Kelly via the NCSU Soil Science Flickr stream. Prismatic soil structure is similar to blocky, except that the blocks are more tall than they are wide. Prismatic structure usually occurs in the B horizon. It is common to have prismatic structure that breaks into smaller, blocky structure when the prismatic ped is handled. This is called “compound structure”, meaning there is one structure type within another. Columnar soil structure looks very similar to prismatic structure, except columnar has a rounded top. 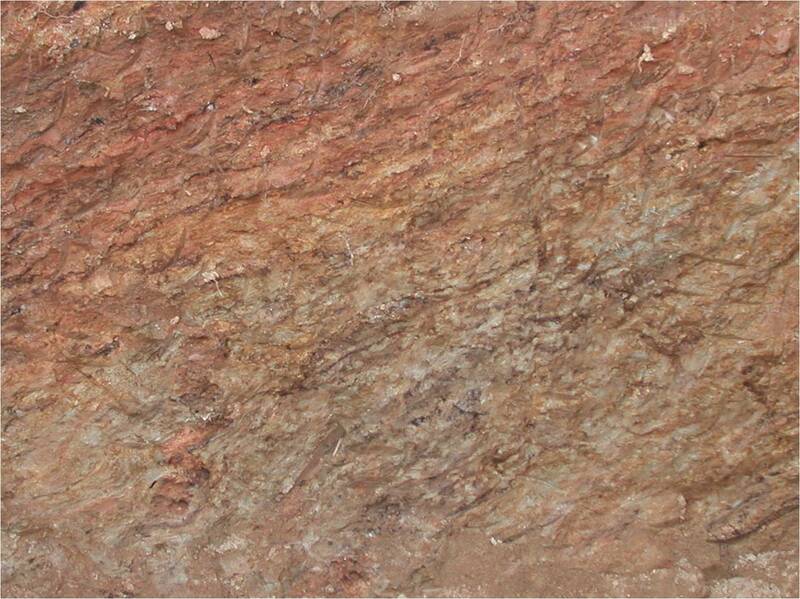 This structure occurs in arid climates where there is a higher concentration of salts in the soil. 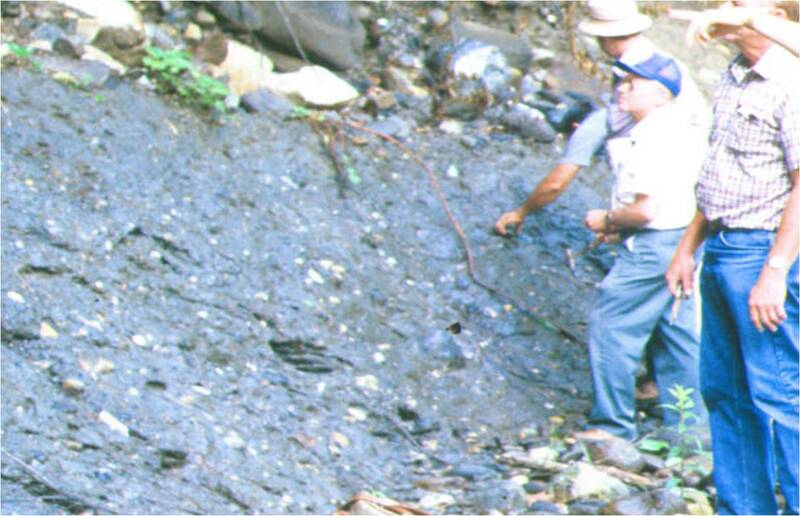 Platy soil structure consists of soil peds that are wider than they are tall. 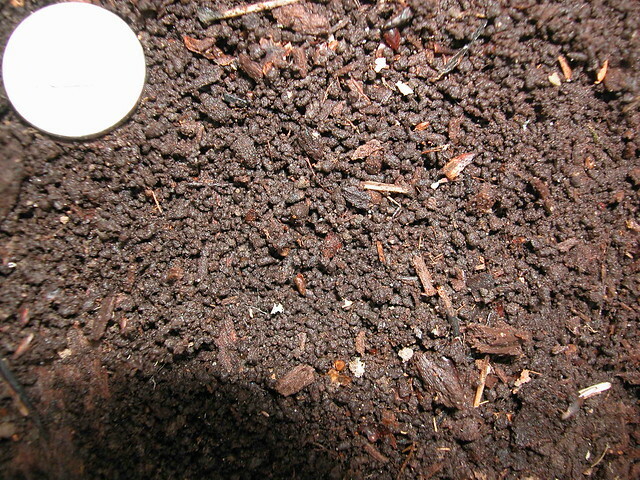 It often occurs in compacted soil. Platy structure causes slower movement of water down through the profile. If it formed due to compaction, root growth through that soil layer will also be hindered. Platy Soil Structure. Photo by David Lindbo via the NCSU Soil Science Flickr stream. Wedge soil structure is a shape similar to that of a football (North American). 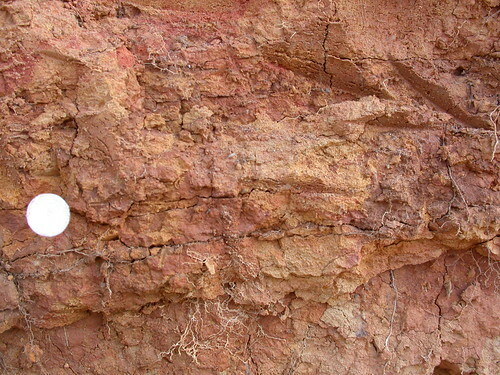 It occurs in soils that have a high amount of shrink-swell clays like in the Vertisol soil order (Soil Taxonomy). As the peds wet and dry, the peds slide over each other elongating the peds into a wedge-like shape. Where ped faces slide over each other, slickensides (smooth films of clay) line the outside of the peds. Wedge Soil Structure. Photo courtesy of David Lindbo. Structureless – single grained soil structure means that there is no structure, only individual soil particles (sand) that are not aggregated into any other soil structure. Beach sand is a good example. Structureless-Single Grained. Photo courtesy of David Lindbo. Structureless – massive soil structure means, again, that there is no structure. The soil does not easily break along plains of weakness because there are none. This is common in C horizons where it is only parent material and no (or little) soil development has occurred. Structureless-Massive. Photo courtesy of David Lindbo. 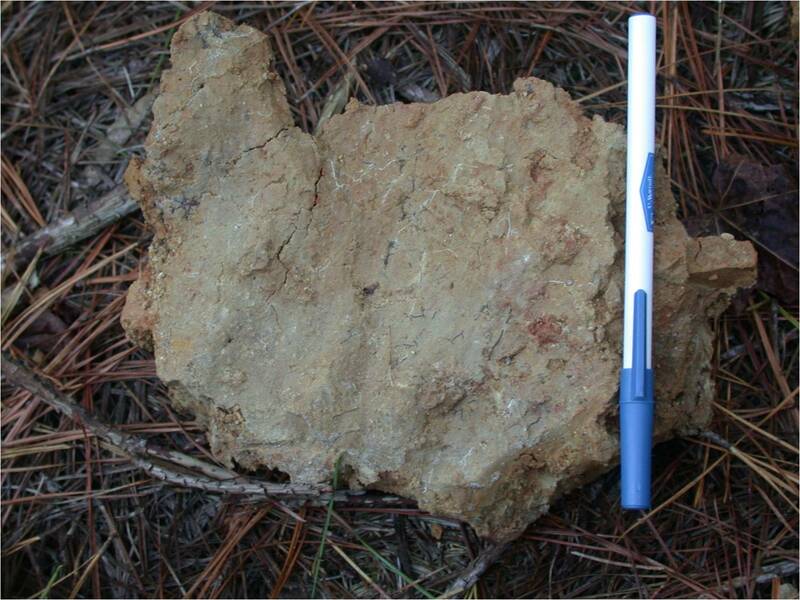 Structureless – massive, rock controlled fabric (a term used by the NCSU soil science folks, but not commonly used by others) occurs in saprolite (rotten, weathered rock) where the soil does have structure. However, that structure is not due to soil forming processes, but is due to the inherited structure of the parent material (what was once a rock). Structureless-Rock Controlled Fabric. Photo courtesy of David Lindbo. In addition to structure type, structure is also described by soil scientists based on ped size, and structure strength. Ped size is simply the average size of peds within different size categories. 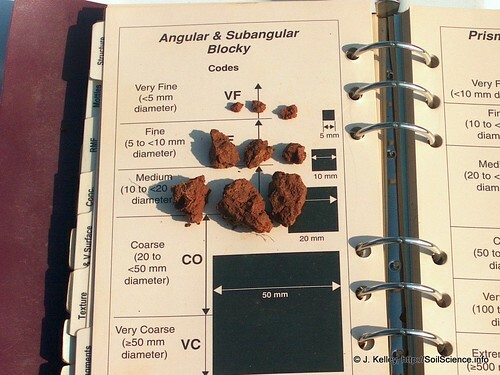 The picture below shows the use of the USDA’s Field Book for Describing and Sampling Soils to determine the ped size for angular and subangular blocky structure. The sizes are grouped into different ranges of diameter, such as fine, medium, coarse, etc. The range “descriptor” may change as well, such as thick, medium, and thin for platy structure. Determining soil structure size. Photo courtesy of the NCSU Soil Science Flickr stream. The final characteristic used to describe soil structure is Grade. Numbers and words (associated with strength) are used to describe grade. The numbers 0 through 3 are used for grade. A grade of 0 indicates that no soil structure is present (ie, the soil is massive). A grade of 1 indicates weak soil structure, 2 indicates medium structure. Lastly, 3 indicates strong structure. Strong structure can easily be seen in a soil pit, as the soil peds will have large gaps in-between the peds. Weak soil structure will not be easily seen in a soil pit, but peds may break into a discernible shape when they are manipulated or squeezed. Medium is somewhere in-between strong and weak. Strong Soil Structure. 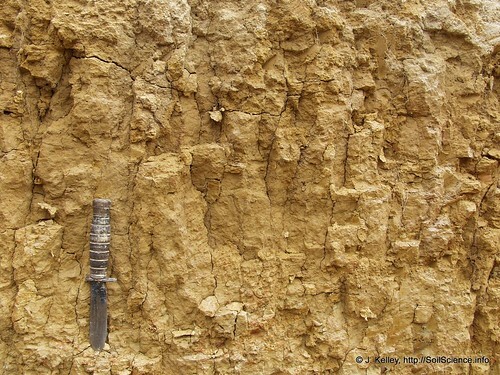 The soil profile shown here depicts a strong soil structure where very visible macropores (gaps) between the prismatic soil structure can be seen from a distance. Photo courtesy of the NCSU Soil Science Flickr stream. Soil structure is created through pedogenic (soil forming) processes over long periods of time, but can be destroyed quickly through compaction. In your field, garden, or yard, you can encourage good soil structure by limiting traffic on the soil, avoiding tillage when the soil is wet (when it has the least strength), and adding organic matter either manually, or through agricultural practices. Soil structure is a topic that usually takes several lectures to cover in college-level soils courses, so we won’t be able to cover all of it in one blog post here. However this post should give you a thorough understanding about how structure is described, and some potential impacts of soil structure. This entry was posted in Lessons in Soil Science, Terminology and tagged angular, columnar, granular, infiltration, massive, prismatic, Soil Structure, subangular, wedge. Bookmark the permalink. I’m sorry. I’m not able to email these blog posts to people. You are free to print it off if you would like. real good! helped me so much tonight.. Thanks Colby for the nice soil structure pics! I hope you don’t mind me borrowing and using them for my class. No problem. Please note that most of the pictures I use on here are not mine. They are mostly linked to other websites. I also make a conscious effort to use photos in the public domain. Colby, excellent stuff! I often see so much emphasis on soil texture in my realm of ornamental horticulture but very very little on structure. I am a proponent of planting with a minimum of tilling primarily to preserve the structure of our soils here in west TN, where so many complain about our “clay soils”. It is my contention that they are fine soils as any wild area will attest, but we ruin them when we destroy the texture by tilling. I am wanting to include some of these photos in our master gardener handbook which we are rewriting currently. I see from one of the questions answered that you said you got most of them on public domain. I will try to find out where and make sure it is okay to use them in our book, but which are yours, if any? Thanks for visiting, and for the kind words. In regard to tillage and gardening, there are a couple of things to consider. First, most tillage in gardening is performed using a rototiller, which pretty much obliterates all existing structure. The advantages of rototilling is that plant residue (that has already been chopped up with something like a mower) can be incorporated into the soil, and that the tilled soil is easily worked during planting. There are many disadvantages though – most notably the loss of soil structure and macropores, and compaction over time. If a rototiller must be used, I recommend always incorporating a large amount of organic matter at the same time. The additions of organic matter can help build structure, which will offset some of the disturbance caused by tillage. However, a better approach is to avoid tillage altogether. In my own garden, I’ve found that adding organic matter (mulch, compost, etc.) to the surface and letting the worms do the work is sufficient for incorporating organic matter. Also, the better “soil tilth” that comes with no-till makes the soil that much easier to work by hand when planting and weeding. This is for the entire duration of the growing season, not just within a few weeks after tillage. Also, the reduced soil disturbance avoids weed seeds from being exposed to the surface, reducing the amount of weeding that’s necessary throughout the season. In my own garden I apply a generous amount of compost to the soil surface in the fall, along with enough straw to keep the wind erosion in check. In the spring I rake up the straw so that the soil can warm up to allow germination, the spread the straw back out once it’s warm enough so that the shading reduces weed pressure. In just one year of doing this, there was a noticeable difference in soil tilth – enough that I decided I would never rototill again. As for Tennessee’s high clay soils, increasing organic matter will actually make the soil easier to work because the organic matter covers the clays so they aren’t as sticky. Doing as I described in my garden should work just as well in clayey soils as it does for the fine sandy loam that is in my garden. 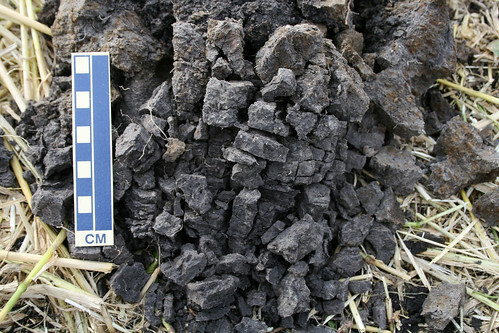 Lastly, the pictures from this blog post mostly come from the SoilScience.info website’s Flickr page: https://www.flickr.com/photos/soilscience/collections/. For structure pictures, go to the “Soil Features and Morphology” collection, then the “Soil Structure” folder. Most images have information about the photographer, and most are licensed under a Creative Commons CC BY 2.0 license, meaning anyone can use it however they see fit, as long as the image is attributed to the photographer (or if it’s unknown, then to SoilScience.info). Good luck with your handbook! If you need any incites from a soil scientist, let me know. I’d be happy to help. Matthew is my and am a young passionate man in the field of ornamental horticulture and I would like to be your apprentice after graduating with an undergraduate degree. Africa, Ghana to be precise in where I dwell. And it will be my honour to be trained by you sir. 0268083982 is my contact. Excellent! I am currently doing my own version (similar to yours) of “no-till” landscape establishment at my newly built home in rural west Tennessee, and plan to photograph the before/during/after effect on my red clay hill. Just unloaded a truckload of straw bales last week. Will start picking up bags of leaves from suburban neighborhoods in the coming weeks. Great info about the photos and yes, you have such a wonderful way with words – making soils understandable to the layman – that I would love to get some input from you in the future. Keep up the good work, and stay dirty!